I was *at* this speech of Bernie’s–the “identity politics” one. The minute he uttered his now-infamous answer during the Q&A, I thought, right on!–and then, uh oh. Not because he’d misspoken, but because I knew those words would get twisted. Still feeling the Bern? Then let us be perfectly clear: a President Trump would be disastrous for Senator Sanders. I love Bernie Sanders. I think he’s the candidate of a lifetime. I co-founded Writers for Bernie, and wrote pieces supporting him throughout the primary. I desperately wish he were the Democratic nominee, and I believe he would have been, if not for the near-complete media bias against him and the documented favoritism of the DNC. But he’s not. He is, however, poised to have tremendous power in the Senate, if Hillary Clinton becomes president. Some people, even though they, too, love Bernie, or because they love Bernie, think they can’t bring themselves to vote for Hillary. They’re voting third party, sitting the election out — or, amazingly, voting for Trump, enamored of the idea that he’s a disrupter. Many think that even if Trump is elected, Bernie will still be their champion. I’m astonished at the number of people I’ve encountered who think progressive policies have any chance of being enacted under a President Trump. They don’t. This isn’t defeatist thinking. It’s simply civics and math. — Bernie would not be a committee chair. There’s much excitement about the prospect of Bernie heading either Budget or HELP (Health, Education, Labor and Pensions), two powerful committees. (The right, in fact, is freaking out at the prospect.) But that’ll happen only if the Democrats win back the Senate. At present, most projections make it a 50–50 split — which means if we have a Democratic president, we have a Democratic Senate majority, since the Vice President is the tiebreaker vote. And if we have a Republican president, we don’t. Further, the Vice President is also the tiebreaker vote for chairmanships. So: if Mike Pence is VP, no chair for Bernie. All the talk of Dems taking the Senate, and Bernie being a committee chair, is dependent on Clinton winning the White House. — It will be virtually impossible for progressive legislation to reach the President’s desk for final approval. The House will be held by Republicans. The Senate will be held by Republicans (given the VP tiebreaker). There will be no Democratic committee chairs to push legislation through. There will be no Democratic president to do backroom deals or twist arms (legislation is won vote by agonizing vote: watch Lincoln). — If, by some miracle, a progressive bill makes it to President Trump’s desk, he’ll veto it. Self-explanatory. — Progressives would not have the votes to override a veto. You need 60 Senate votes to override a presidential veto. There won’t be 10 Republicans who’ll break ranks to vote with the Democrats. A President Trump would torpedo Bernie’s chances of enacting any of the progressive policies we care about. I am just back from Philadelphia and the DNC, and I have many thoughts about what I saw, and the arc of this election, and the Democrats. I wasn’t a delegate, because I have never been enrolled in a party (Massachusetts is an open primary state). I’m not much of a joiner, but am thinking now about affiliating myself so I can start affecting things from the inside. However, I also want to see what happens with Bernie’s movement and with Robert Reich‘s idea of a new third party to form after the election. One of the most difficult tasks I face as a novelist is one that seems the simplest: explaining what my books are about. It’s almost always the first question I get in a casual conversation. Quickly outlining the plot feels reductive, but it’s hard sometimes to see my own larger themes and motivations, especially when I’ve just finished a book: the world I’ve created still seems too large and the people too complex to pull out one-sentence, much less one-word, explanations. But distance helps. I’ve had a little time now (my first book came out in 2010, the second in 2015), and with it more insight — which, believe it or not, has come at least partly by way of Bernie Sanders. I was trying to figure out why my feelings about his campaign are so strong, why they resonate with me, as they do with so many others, so deeply, and I realized that the driving ideas — necessities — of both my fiction and my activism are the same: truth and courage. Or, to state them negatively (but in a way that lends itself much more to plot-making, as well as politics): lies and fear. 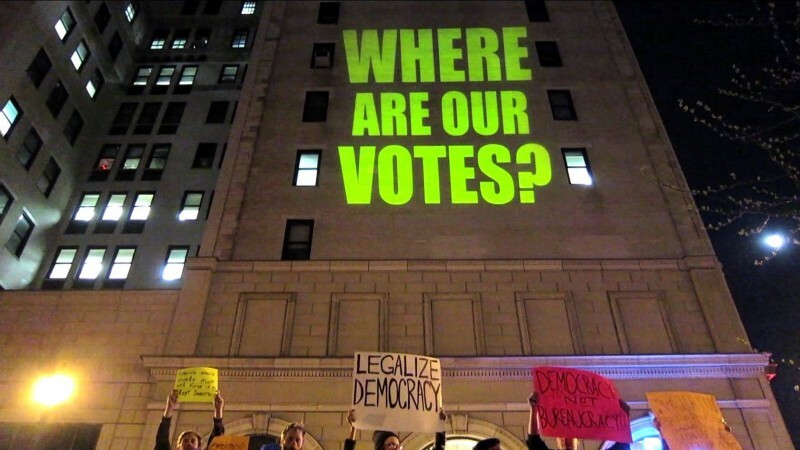 NYC Primary Certification: how many affidavit ballots were counted? I’ve compiled the figures here for public use and reference. The results of the 2016 New York City Presidential Primary were certified on Friday, May 6, despite an enormous public outcry about the number of people unable to vote or forced to vote via provisional ballot, or, in New York parlance, affidavit ballot. Some of the disenfranchisement was due to “ordinary” problems like broken machines, missing ballots, missing poll workers and late-opening polling places, but the majority was due to people being incorrectly and illegally removed from the voter rolls. Voters in this predicament who went to the polls anyway, or who did not discover their changed status until Election Day, could vote using affidavit ballots, although many were unaware of this right and simply left, and others requested affidavit ballots but were refused them by poll workers. In spite of all these obstacles, over 120,000 affidavit ballots were cast. The next step in these votes being counted was verification for eligibility. The public was not allowed to witness this sorting process. The ballots that made it through this round of culling were then included in the final vote tally. These figures are from the New York City Board of Elections Summary, available here. To see the final tallies, go to the “Democratic President Citywide” results for each borough, click on the recap, and scroll to the last page of the document. In that document, you can also see the results for individual districts — helpful if you happened to be a poll worker on primary day and witnessed the voting firsthand. Below are the final figures for affidavit ballots cast, and affidavit ballots allowed in final certified tally. Disclaimer: I got my figures for affidavit ballots cast from this NYDY piece, not from my own reporting (those should also be available online somewhere, but they are not included, as far as I can tell, in the Election Results Summary). The affidavit ballot totals for the 2016 primary are almost five times the total that were counted (not submitted) for last contested presidential primary, in 2008, when 26,242 affidavits were counted. The same source also notes that the affidavit ballots cast were more than a tenth as much as the 1,032,796 regular ballots counted in the initial results. For an overview of the situation and current developments, I suggest going to the NY Primary Problems and/or Election Justice USA pages on Facebook. Media coverage has been spotty, and MSM, with the glaring prime example of the New York Times, nearly nonexistent. Best sources I’ve found are the New York Daily News and Gothamist. Feel free to include links to other background info on the primary and lawsuits in the comments; I’ll also do this when I can. If the comments get nasty in any way, I reserve the right to censor. Voter disenfranchisement is not a partisan issue. It’s also not conspiracy theory: what I’m presenting here are facts, drawn from published government documents. Disenfranchisement — whether by intent or bureaucratic ineptitude — strikes at the heart of democracy. In the United States of America, one’s vote is one’s voice; thus, by this count alone, nearly a hundred thousand people have had their voices taken by the government, which is supposed to be the servant of the public. Again, this is not a partisan issue. The story is much larger than New York City and these actual existing affidavits. There were far more voters turned away at the polls, statewide, because of illegal voter roll purges and swapped or lost registrations, who did not file affidavit ballots — because they were not aware of their rights, or were misinformed by poll workers. There were also voters who checked their registrations ahead of time, saw that they had been purged or their registration switched, and didn’t go to the polls at all. Again, please feel free to leave more information in the comments. If you were disenfranchised, please contact Election Justice USA at justice@electionjusticeusa.org. The revolution might not be televised. But it will be written. By us. However, Bernie’s election attorney “is instead considering a federal lawsuit challenging Maricopa County’s election practices, possibly partnering with other concerned groups.” In addition, The Department of Justice has launched an inquiry into whether the county violated voting rights laws. This is a call to action for all Writers for Bernie, official andunofficial. It’s a call to action for all writers, all speakers, all citizens who believe in our democracy. We believe that America’s founding ideals, along with the very health of our planet, are being eclipsed by corporate interests and institutionalized inequality. We believe that in order to restore a government of the people, by the people, and for the people, we need a leader who envisions and demands economic, environmental, and racial justice, and that, in 2016, that leader is Bernie Sanders. As writers, we have based our lives on the power of words. We are astonished that a person who speaks with such consistent integrity, honesty, and moral authority exists in national politics today. He has been fighting for the same humane causes — raising the minimum wage, getting corporate money out of politics, establishing reliable health care for all, protecting American jobs, saving our planet from climate change — for his entire career. ​We believe his ideas are in no way radical or unpragmatic, but instead the course correction we desperately need to save our democracy. 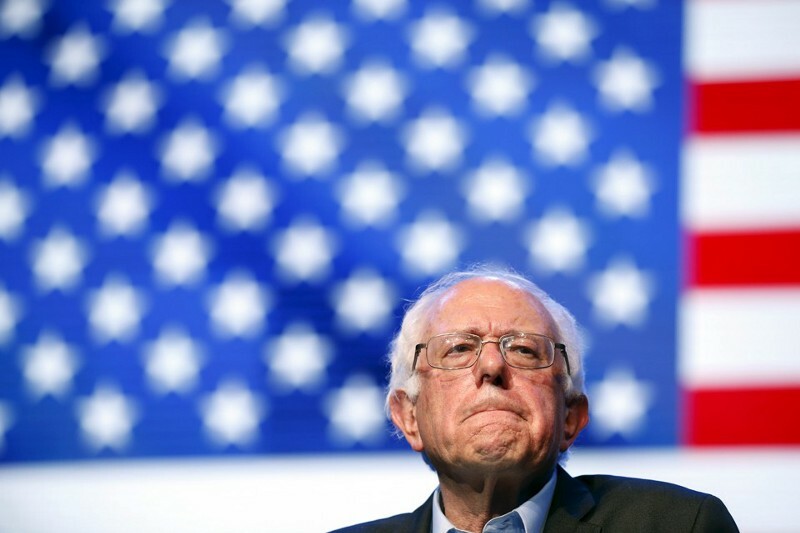 2016 is not a usual political year, but, luckily, Bernie Sanders is not a usual candidate. We endorse Senator Bernie Sanders for President of the United States. Last week I came across a news item that seemed, at first, second and third glance, surely to be parody, except it wasn’t: a yoga class for disabled students at the University of Ottawa was canceled because student organizers were concerned about issues of imperialism and cultural appropriation. It’s not often a writer has the utterly affirming pleasure of meeting an ideal reader. Even more rare is having that ideal reader interview you, and then do a discussion of your book on the radio with not one, but two more ideal readers. I had this great privilege a couple of weeks ago when The Half Brother was featured on Cyd Oppenheimer’s show Book Talk, on WNHH (New Haven).